When researching for a family-friendly SUV, many look for one that’ll help keep their loved ones safe, comfortable, and entertained. One such option around Centennial, Aurora, and Denver is the Honda CR-V. But to help determine if it’ll satisfy your driving needs, you’ll need to learn more about it. That’s why our team at Mile High Honda wrote this 2018 Honda CR-V review. We’ll give a breakdown of this vehicle’s specifications so that you can make an informed decision. Read all about it below, and contact us if you have any questions. Adaptive Cruise Control with Low-Speed Follow: Maintains a set speed and distance from the vehicle in front of you. Even if traffic begins to slow down, the system will keep that set distance. Lane Keeping Assist System: If you begin to stray from your lane without using a turn signal, the system will use corrective steering to get you back to the lane center. Collision Mitigation Braking System™: If the system detects an otherwise unavoidable collision with a vehicle in front of you, it can help apply the brakes. The CR-V offers plenty of space for five passengers to comfortably stretch out. It has 41.3 inches of front legroom, 40.4 inches of rear legroom, and 105.9 ft3 of total passenger volume. The SUV has lots of room for grocery bags and sports equipment, too, with 39.2 ft3 behind the second row of seats. Fold that row down, and the space expands to 75.8 ft3. Plus, with the 60/40 split rear fold-flat seating, you can fit all your needed cargo inside the cabin and still have room for a passenger or two. For complete comfort, the CR-V offers leather-trimmed seating, plus a leather-wrapped steering wheel and shift knob. And to stay nice and cozy on colder days, there are available heated front seats. Furthermore, there’s the available dual-zone automatic climate control system. This lets the driver and front-seat passenger choose their preferred temperature settings so neither stays too hot or too cold. The 2018 CR-V has many available high-tech features to help stay connected and entertained. It comes standard with Pandora® and Bluetooth® capability to stream music or make hands-free phone calls. Connect your compatible smartphone to the vehicle using the available Apple CarPlay™ or Android Auto™ features. This lets you access music playlists, podcasts, navigation, and more. You can also connect your phone through the optional HondaLink® feature. This lets you receive vehicle notifications or schedule service appointments. All your media options can be seen on the available 7-inch display audio with high-resolution WVGA electrostatic touchscreen and listened to from the available 9-speaker sound system with subwoofer. 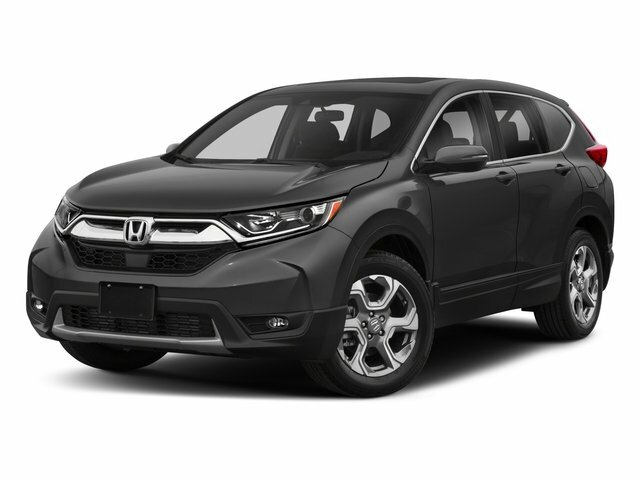 The Honda CR-V was named 2018 Motor Trend SUV of the Year,* but to help determine if it’s right for you, you’ll need to get behind the wheel. If you live in the Centennial, Aurora, or Denver areas, and are ready to experience the 2018 CR-V in person, then schedule a test drive at Mile High Honda today! *The 2018 CR-V has been named Motor Trend’s SUV of the Year thanks to impressive cargo space, efficient fuel economy, and Honda Sensing® safety and driver-assistive technology standard on EX and higher models.